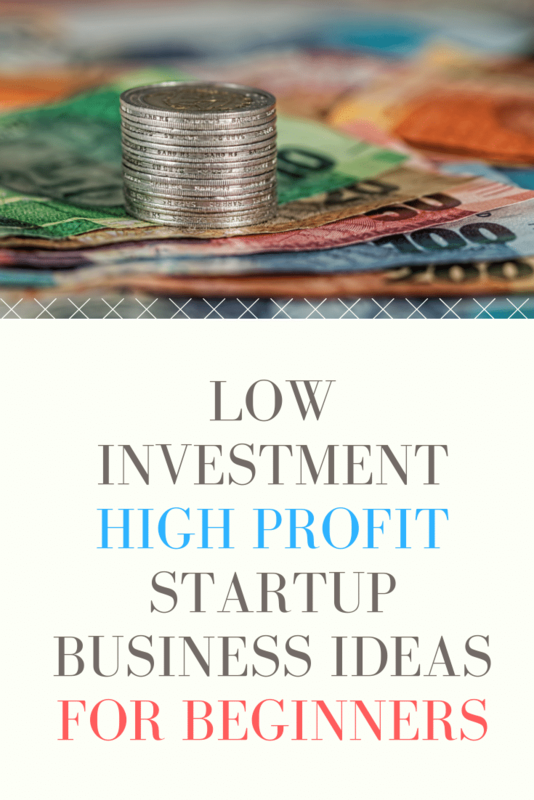 Beginners, who have little or no startup capital to invest into a new business, will soon discover one of the best low investment, high profit business ideas online. There’s really nothing new about this startup business idea. It actually might be one of the oldest, legitimate ways to earn an income without investment or overhead. What you WILL need, however, is a huge dose of creativity and a little knowledge about the internet for this business to be profitable. Hopefully, by now you are on the edge of your seat, in suspense, wondering what this miraculous business is. Before I tell you though, you should be aware that you probably won’t be all that excited when you first read it. Because most people have heard of this business before and in most cases, they feel they know what it’s all about. But what I’m going to reveal to you is a completely new way of starting this business by using the internet and online technology we have available to us today. After you read this entire article you’ll fully understand why this startup business is one of the best low investment, high profit business ideas for beginners online. So what is it? Event Entrepreneurship! Now let me explain… Events are happening all around us right now. So we know people love to attend them. Events can be huge festivals or small meetings. They can cater to the interests of many or just a few. They can be used to sell products/services or the event itself might just be the product. My point is… An event can be whatever you want it to be! It can be held whenever and wherever you want. There’s very low upfront investment. And the profit you can earn is totally up to YOU! And with the internet, social media, and other online services, NOW is the best time for beginners to make Event Entrepreneurship a serious career. Event Entrepreneurship: Low Investment, High Profit! Obviously, there are many large events that require a substantial upfront investment. Those are not events for beginners. But isn’t it great to know that you can grow this business as big as you want? As a startup Event Entrepreneur, you’ll want to focus on extremely small community events. One’s that are easy to plan, quick to execute and can be done without paying anything. Please don’t misunderstand me; with most events, even small ones, you will have expenses that will require an investment. It just doesn’t have to be your money that gets invested. Your job as an Event Entrepreneur is to create events so exciting that when sponsors and vendors find out about it, they will beg you to take their money to include them. These sponsorships will allow you to host your event without having to make an investment of your own money. This is where IT PAYS to know a little about the internet and how to use it to earn money. In order to make the most from the events you create, you’re going to need to leverage the power of digital product development. In other words, you’re going to have to take your event and transform it into an online experience that will work 24 hours a day / 7 days a week to earn income for you. Planned correctly, a single event could earn you an income years after its completion. Which means your profits are essentially limitless! By the way… This is in addition to the common ways to earn income from events like ticket sales and product sales. 1) Start With Small Community Events – My first event was local “Best Burger” competition in my community. It was a 30-day event that gave residents an opportunity to sample delicious burgers from 5 different restaurants. I ran it mostly online from home. Residents wanting to participate could buy “judges cards”, which were just postcards with all of the logos of the restaurants represented. When they visited one of the restaurants, the server would punch out their logo as redemption. After the resident visited all 5 restaurants over the course of the month they could vote for their favorite on the back of the card and send it to my office. This was an extremely easy event that rewarded me with a full page story in the local newspaper. I earned from the selling the “judges cards” online and to the restaurants. That is a perfect example of making an event more than just a one day experience and converting it into a digital product.The restaurants gained new customers as a result. There are many ways in which you can do similar events in your community! 2) Use Live & Digital Events – Live “in-person” events are great, but when you combine digital components you’ll see a huge increase in profits. With today’s technology, you can add webinars, videos, e-courses, podcasts, eBooks, and more to your events. Give your event participants an amazing experience and reach them where they are… On their cell phones! 3) Offer Backend Digital Products – Don’t stop after the event is complete. Create relevant products or services that your event participants can continue purchasing. I failed to do this with my “Best Burger” event, but I could’ve used the list I generated from the event and offered the competing restaurants an opportunity to email follow-up coupons and deals to the participants. Or I could’ve created another food inspired event and sold more entries. Find a way to give your event longevity and earn from it long-term. In conclusion: Beginners seeking a low investment, high profit business to startup should seriously consider becoming an Event Entrepreneur. You can create small events within any industry or by using the talents and interests you already have. For more ideas on becoming an Event Entrepreneur, you can get more information in our eBook The Event Entrepreneur. ← Importance of Digital Marketing and Local Events for Small Business.